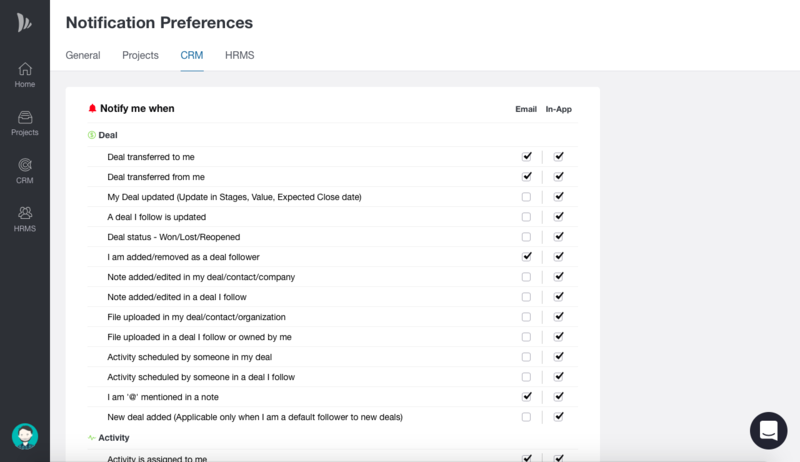 You can manage all your Email and In-app notifications of Projects, CRM and HRM from Notification preferences. 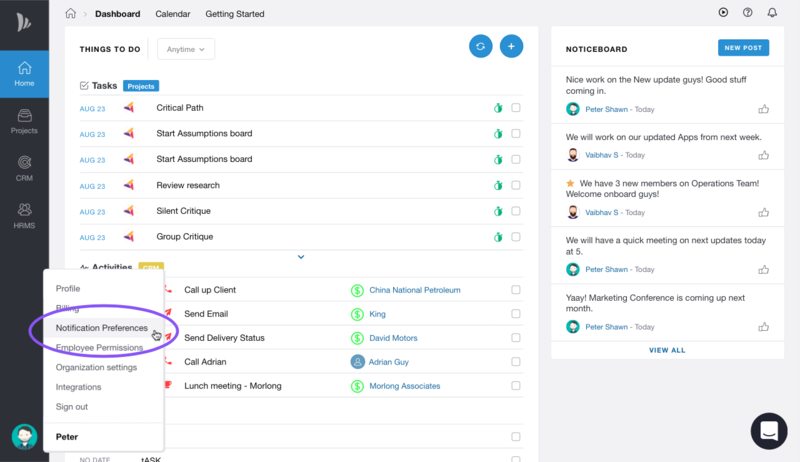 You can choose when and how to get notified for the actions in TeamWave. Based on your selection your Notification preferences will be set.